Three chances to train each week — excellent. Join the club officially through the union. http://uclu.org/clubs-societies/jitsu-club There is a £5 membership fee that we have to charge, but we’ll refund it in free training or beer. Joining the Jiu Jitsu Foundation costs £25 – this is your insurance, it’s mandatory, but it enables you to train at any of the 100 clubs in the country. Mat fees are £3 per session on Tues and Thurs. The BFC charges a day pass (£3.50) on entry, and we have no control over this, so we don’t charge for training to make up for it. You’ll need a judogi. These cost £15 and we can order them for you at cost from Blitz. We also do a termly season pass for £40 which covers all your mat fees if you want to pay in one go at a reduced rate (about half the cost of paying for individual sessions). The freshers’ pack includes your judogi and belt (£15), your licence (£25) and the first term’s training (£40, much more if you pay as you go) and costs just £50 in total. This is a deal. Speak to a club committee member if you’re interested. All the money goes directly to benefit the members of the club (e.g. hiring training venues) as our instructors do not charge for their time. Any questions? Just ask. 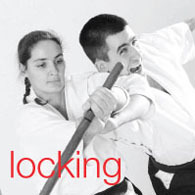 Minor annoyance with the YMCA (they don’t like martial arts and hadn’t realised we were a martial art) so we are relocating our Thursday sessions — watch this space! 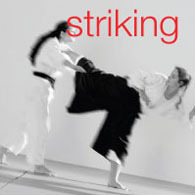 We are still training on Tuesdays at Astor from 8 – 10 and the Bloomsbury Fitness Centre on Fridays from 8 – 9.45. Your free fortnight of Jiu Jitsu is coming to an end, so speak to us after any session about joining the club. It’s alarmingly cheap, because our instructors take no money. See you on the mat! Good to see so many training hard last night. Our focus is on street self defence, techniques that enable us to overcome bigger, faster people, multiple attackers, armed or otherwise. 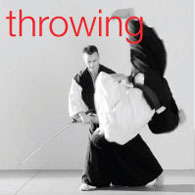 We’ll work on using momentum, balance and movement, managing distance, locking, vital point striking, throwing, falling, violence awareness and avoidance techniques, fighting on the ground, and a lot more. Sessions from 6 – 16 October are free. It’s that glorious time of year when a lot of new faces take up jiu jitsu for the first time. If you’re considering it, have a look at our frequently asked questions, join or ask a question on our Facebook page, find us Freshers’ Fair (Blue Zone, South Cloisters, stall 6) and most importantly come along to a session and try jiu jitsu for free. The first session for beginners is 6 October in Astor College Gym, 99 Charlotte Street, from 8 – 10 pm. Wear something loose and comfortable, train like you mean it, and then join us for comprehensive refreshment in the pub. See you on the mat!